The DFL – and, more accurately, its’ big-money PR operation “Alliance for a Better Minnesota” – have been trying to repeat a couple of Big Lies often enough that, over the course of the next two years, a plurality of Minnesotans agree with them. One of them is the myth of the “do-nothing legislature”. But I think even the least-informed Minnesotans are starting to figure out that over the past two years, the talk, even from the DFL’s noise machine, has turned from “We have a $6.6 Billion Dollar Deficit!” to “the surplus isn’t really all that surplus-y”. Another? The idea that the GOP is “extreme” and “focused on social issues” – as if the party can’t fiscally walk and chew social gum at the same time. Please, people; we’re not DFLers. But today? We’ll be talking about the other Big Lie; that the GOP “shut down the government”. Next week’s election is going to have a lot to do with setting the stage for the state’s next budget battle. It’ll be a fork in the road; the GOP path, leading to prosperity, and the Mark Dayton/Tom Bakk/Paul Thissen path, leading to California, Spain and Greece. Today and tomorrow are also the vital seventeen-month anniversaries of the key dates in the final negotiations leading to the shutdown . I’m going to walk through the events leading up to the shutdown. The inevitable conclusion is that the DFL’s line is a complete fabrication, designed only to leave the uninformed with a sound-bite to take to the polls with them. Even Alida Messinger knows that she’ll need more than 43% in 2014. MURPHY: The proposal that you ended up agreeing to was basically the one that was offered up on June 30, before the shutdown. Do you have any regrets now about not taking that proposal and trying to work that out on June 30th that would have prevented the shutdown? The Governor is lying. (The governer is also borderline incoherent). On June 29, 2011, the GOP- controlled Legislature sent Mark Dayton an offer. Sources on Capitol Hill tell me that this proposal did involve some give and take on policy issues both fiscal and social; in exchange for compromise on revenue, the governor would give some ground on some social policy issues. It was a negotiation. That’s where both sides bargain their various chips with each other, to try to get the end result they want. This, the GOP did. In other words, the GOP Legislature did what they had been elected to do. And given that there were some sort of tax hikes – even indirect ones – in the proposal, it was politically risky for a bunch of Republicans who’d been sent to office promising to hold the line on taxes and spending. And so the proposals went to the governor on June 29. We’ll talk about that that tomorrow. …oh, who am I kidding. 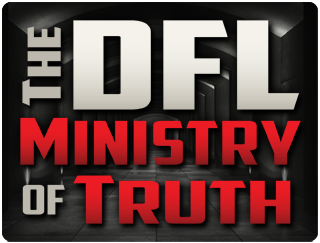 The “year and a half” anniversary is after the election, and I want to make sure exposing the DFL’s lies damages them before the legislative elections, to whatever extent I can. Have no fear; we’ll write about it after the election too. This entry was posted in The Incredible Shrinking Governor and tagged ABM, Shutdownpocalypse 2011 by Mitch Berg. Bookmark the permalink. I have a short screed just ready to burst from my fingertips, but I shall defer until tomorrow out of respect for your message.